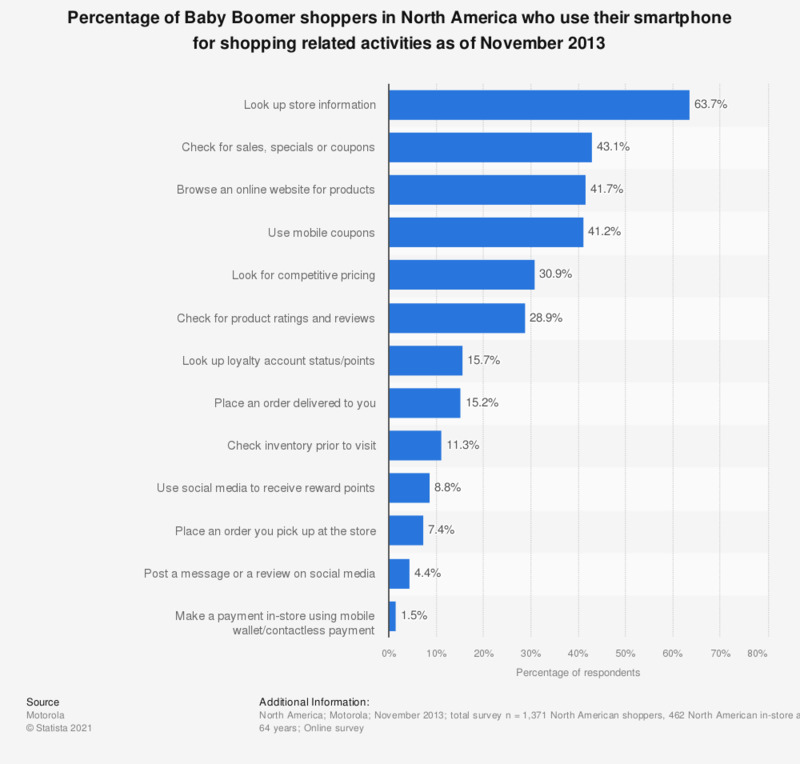 This statistic presents the smartphone usage for shopping-related activities of Baby Boomer shoppers in North America. During a November 2013 survey, it was found that 55.4 percent of Baby Boomer respondents used their smartphone for shopping-related activities. One of the most popular mobile activity was looking up sales, specials and coupons as 43.1 percent of respondents reported doing so. The source does not provide information regarding the age of respondens.